The IPL Photo Facial was used for treatment of pigmentation for decades. However, IPL treatment carries big risk of skin burn and complication of hyper-pigmentation in darker skin like Asian, Spanish and African American. The pigmentation treatment becomes challenge in these populations. The MedLite C6 Laser system acts by emitting a powerful beam of specialized light that targets the pigments, age spots and promotes collagen remodeling without harming the surrounding skin. 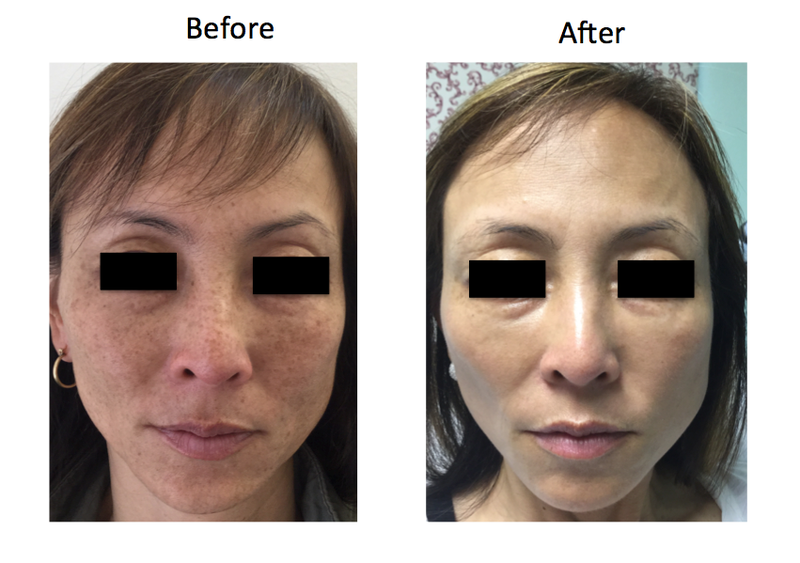 Laser toning is a safe, fast, gentle and effective treatment ideal for pigmented lesions, including Melasma. It is a non-ablative procedure. 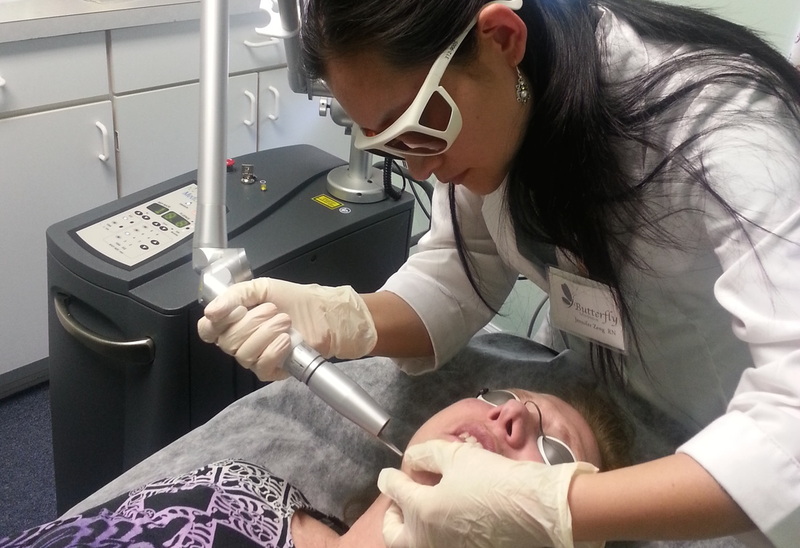 Patients typically tolerate laser toning without topical anesthetics and can return to their daily routines immediately. A full face treatments take as little as 10 to 20 minutes per session and are repeated weekly until the pigmented lesions are no longer visible. Laser Toning also promotes sub-dermal collagen production so that skin texture, color and tone continue to improve long after treatment. Regular laser toning can diminish surface flaws like wrinkles, large pores, imperfections caused by conditions like acne and rosacea. Simple localized spots can be completely removed with 1-2 treatments.